Many people from each corner of the world joined to enjoy the festivities at the 2014 World Cup in Brazil. The matches were exciting and the stadiums were filled to the brim with supporters from around the world. Fans cheered, cried, and supported their teams as they watched them win, lose, or tie against other teams. 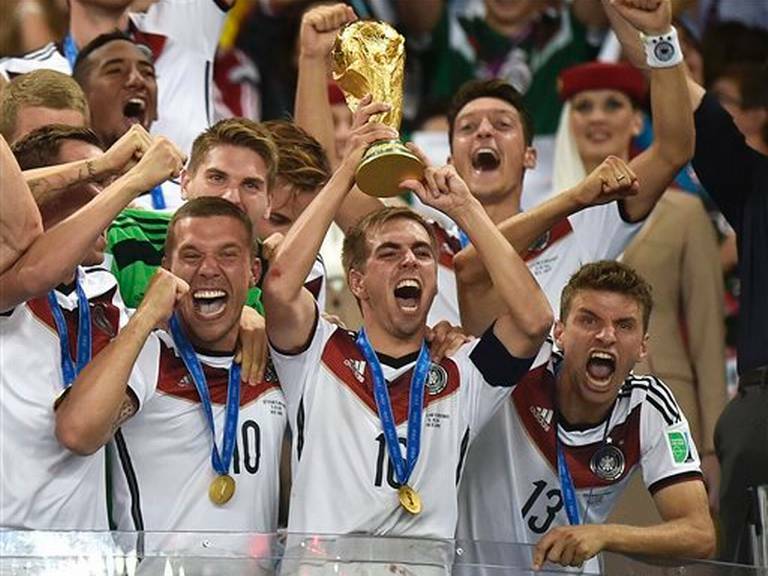 Germany took home the trophy as they stood as the soccer champions of the world. The climb to the top was not easy as they played against tough opponents like Brazil and Argentina. In the end, they overcame their adversaries and won. German fans went wild, their cheers drowning out any other sound within the stadium. The mood within the stadium was that of the utmost joy and pleasure, but outside the stadium, the atmosphere was different. A year prior to the Brazil World Cup, the Brazilian government made some policy changes in preparation for the spectators that would make their way to the soccer stadiums in a year’s time. The first was raising the bus fare. This started the mass protests. The problem does not lie within the bus fare itself, but the principle behind it. However, it wasn’t just the bus fare being raised. Many of the services and products to which the average and underprivileged Brazilians grew accustomed, became more expensive. Due to the vast expenses hosting a World Cup incurs, the Brazilian government began taking measures to raise funds for World Cup facilities. The expenses eventually fall onto the citizens of Brazil through taxes and increased retail prices. Brazilians are in need of more public services and facilities such as hospitals and shelters, but rather than utilizing public spending for the good of its citizens, those funds were allocated to hosting the World Cup. 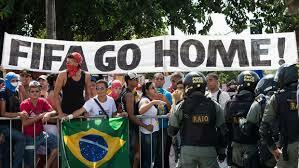 And it’s not just the money that has incited Brazilians to protests against their government. Building soccer stadiums didn’t come cheap for Brazil. Brazil is famous for its favela, or slums. About 11 million people in Brazil live in these favelas, where there are virtually no public services or any regulations. They are almost secular to the rest of Brazil, and they are practically governed by the gangs within the favelas. The Brazilian government never really paid any mind to what went on in these slums. 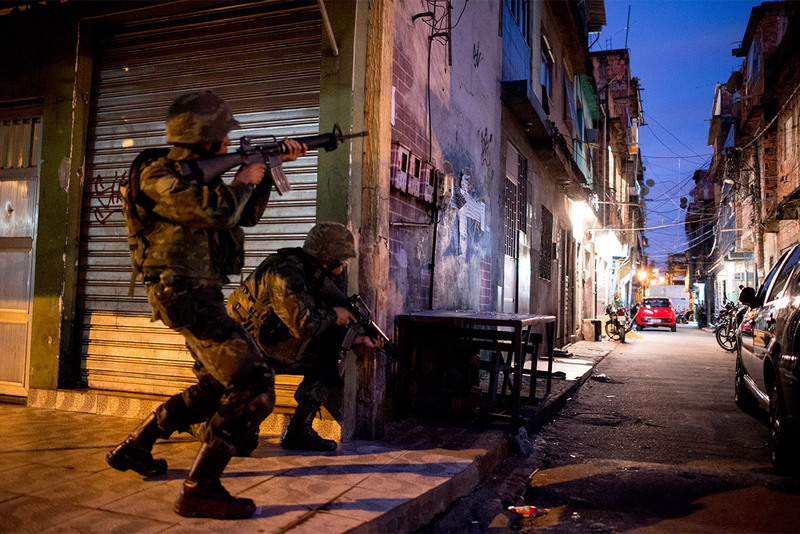 But due to the World Cup, the government began clearing out the favelas of anyone affiliated with gangs. The government wanted to remove any stains that would hurt the image of their country. In the end, special tactics and police units pummeled their way through the slums and had surveillance cameras installed. The favelas were now under the watch of Big Brother. Soldiers are ordered to hunt down gang affiliates in the slums of Brazil. For those that only kept up with the matches, they may have expected the streets of Brazil to be party central, but the truth is, most Brazilians are, to say the least, unhappy with the way things have been handled in this year’s World Cup. “Go Home FIFA” can be seen throughout the streets as protestors voiced their disgusts against the government and the international football association. Big international events like the World Cup are a great way for people to get together and enjoy fun times. But always be sure to recognize and understand how much toil, hardships, and sufferings the host must take on. Having fun is great and all, but if we really want to get to know one another, understanding each other is vital. Just know behind the façade of happiness, there may lie sadness. Let’s accept and understand everything that makes up a culture and its people. We just need to dig a little deeper to find out. Hey there, I’m an aspiring journalist who is in the prime of his life. I’ve lived in America most of my life, but because I can adapt to anything, I’ve integrated quite well in Korean society. I hope to see the world and write about and share what I see. I like places with large bodies of water (especially the ocean), and one day, I will have a kickass beach house where I’ll spend my time writing and sipping mojitos.